(a) Pension Disbursing Authority : Bank Branch/Treasury/Post/PAO Office paying your pension. On receipt of pension papers from Head of Office, the Pay & Accounts Officer concerned will, after applying requisite checks, assess the amount of pension and issue the Pension Payment Order (both halves of Pension Payment Order, i.e. disburser’s portion and pensioner’s portion) not later than one month in advance of the date of retirement of the Government servant with fon/varding authority letter, duly ink- signed and embossed, to Central Pension Accounting Office (CPAO) who in turn will generate on computer a Special Seal Authority on the basis of details given in the Pension Payment Order and authority letter of the Pay & Accounts Officer and fonNard disburser’s half of PPO with Special Seal Authority to the Central Pension Processing Centre (CPPC) of the concerned authorized Bank. The Pay & Accounts officer after ascertaining that the special seal of authority has been issued shall send pensioners’ half of PPO to be handed over to the retiring employee. However, if the employee opts to take the PPO from bank, both halves shall be sent to CPAO. All records will be maintained in the CPPC and the disbursing branch, will make the payments to the pensioner on authorization of payment of pension by the CPPC. The CPPC however is only the back office for processing pensions, all pension related problems/grievances of the pensioners will continue to be handled by the concerned paying branch as before. The Pay & Accounts Officer while issuing the pension authorization will fonNard one copy of the pension calculation sheet (out of three received by him from the Head of Office) as certified by the Head of Office and countersigned by him (Pay & Accounts Officer) to the pensioner along with the intimation of his having sent the pension payment authority/PPO to the CPAO. 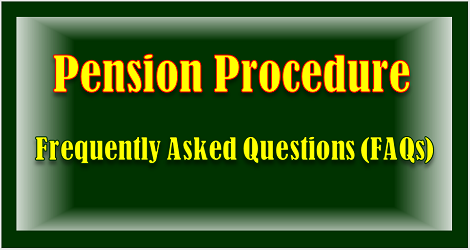 In case it is found from the pension calculation sheet that pension has been fixed incorrectly, the matter may be taken-up with the Head of Office. PAO concerned, if necessary, will issue an amendment authority letter to Central Pension Accounting Office for onward transmission to the CPPC to carry out necessary amendments in both halves of PPO.